Hiring Workers in Chiang Mai Thailand. 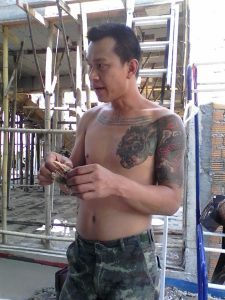 Hiring Building Workers in Chiang Mai Thailand. If you are not a builder you will need to employ a building contractor and arrange a contract. If you know how to build you do need a local person to help with getting the ball rolling. Be careful with hiring workers. If you are the builder then you will hire teams of sub-contractors. 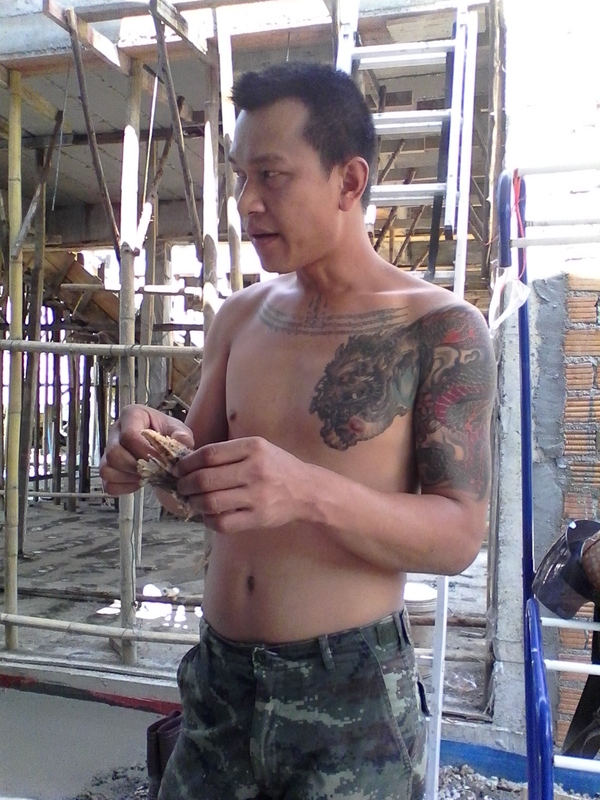 The engineer from the local government office, here in Hang Dong, drew the plans including specifications for everything from footings to rooftop – 10,000 baht. See plans and specifications. After you get the block filled and the foundations dug you are on your way, from then it seems like a cooperation system where the workers help each other find work. Once you gain respect and trust from one group of workers from Myanmar (formerly Burma), they will help you to find the right people for your job. There is usually a boss who gives a quote, then the team does the job and the boss measures up, gets paid and pays the workers. Sometimes he might send different workers each day but the price is established beforehand so this doesn’t matter. You might have different bosses and teams for bricklaying, laying concrete, form work. rendering, gyprok etc. A different team for different trades. They all seem to know each other and cooperate. The groups of workers might be men and women from Burma. They seem to be the best workers. There can be jealousy amongst the local people about the foreign workers. If you employ local workers you might have problems with them being inefficient or lazy. I could say simply, don’t employ locals but do employ the teams of workers from Burma. Nooey – a good strong worker. 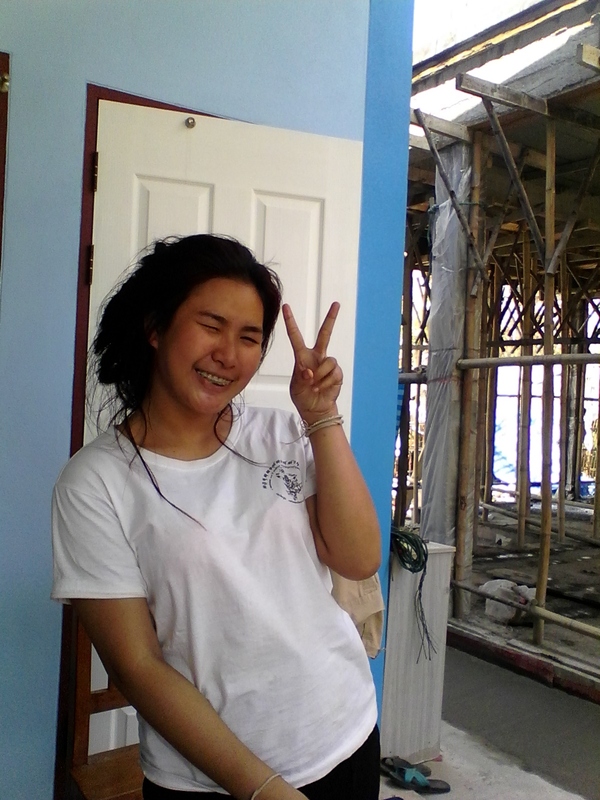 People might work on a contract basis or they might work for day wages which is presently 400 baht a day each. It is often necessary for you to supply cold water and a meal each day for every worker. They are organized into a team of up to 10 workers, men and women. Check to see that your workers have the correct visa or the jealous locals might report you for employing them. Where possible you should buy and pay for everything yourself and let the workers supply only the labor. If you have something that you want done that is different than the usual, take every step to explain exactly what you want to the person who is doing the work – no good telling their boss as it doesn’t seem to get handed down.